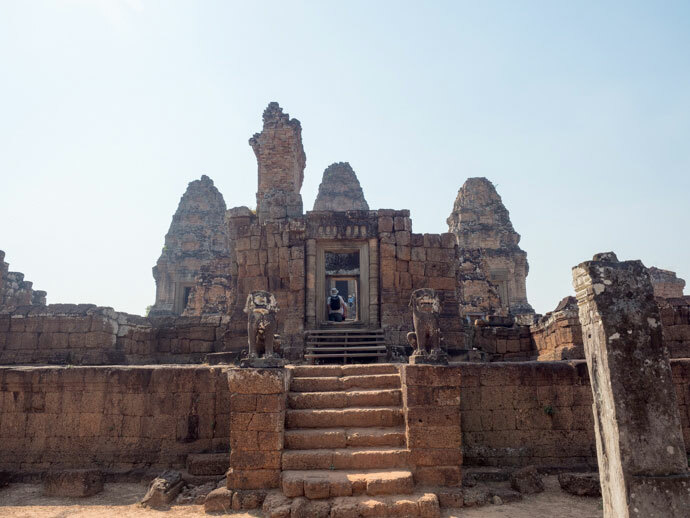 I’m writing this from a lovely cafe in Siem Reap, the dusty small city that’s often overlooked as a mere host for tourists heading to Angkor Wat & Angkor Archaeological Park. 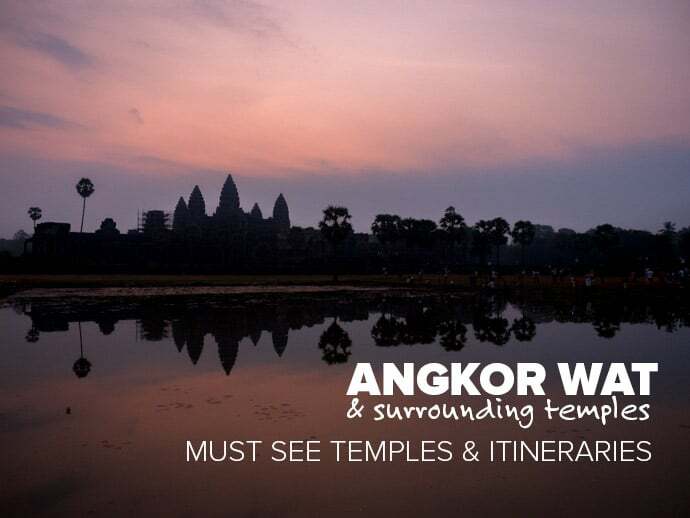 When we arrived, we hadn’t done much research into the temples and were completely overwhelmed when our guesthouse hosts started listing the many temples and areas (turns out there’s much much more than just Angkor Wat!). 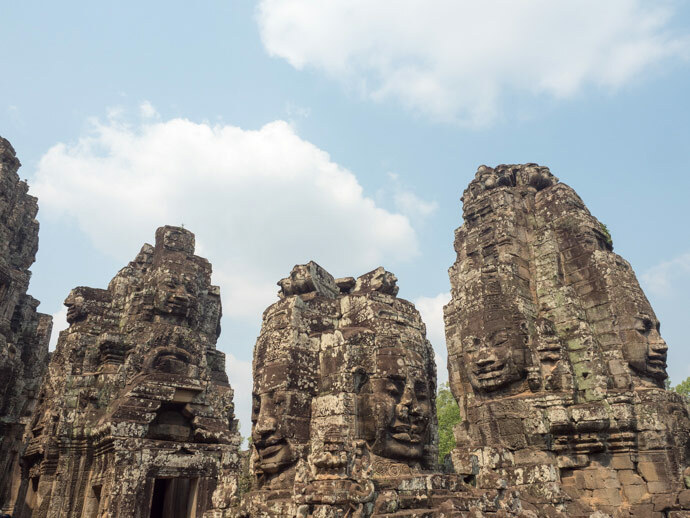 After spending a couple of days exploring Angkor Archaeological Park, we thought we could give you a quick run down to help you decide how to spend your time here. First, you need to buy a pass to see the temples. 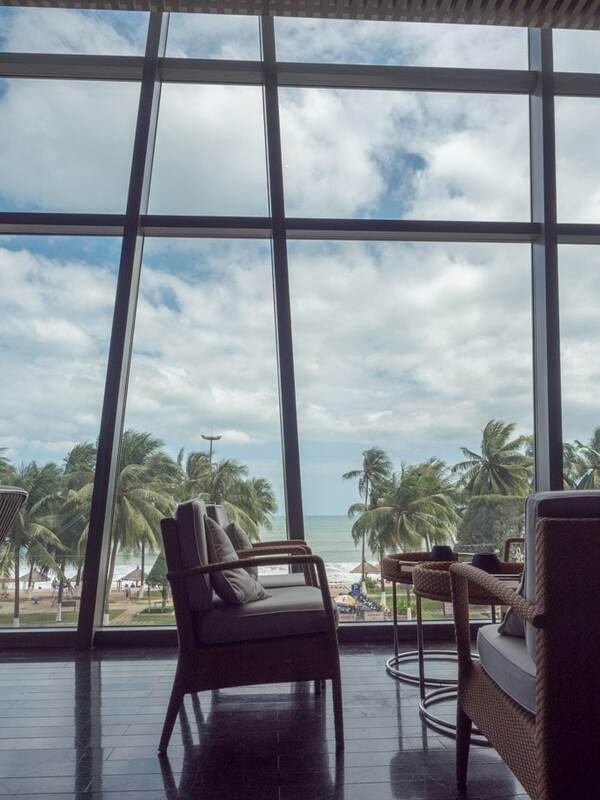 You can get a one day pass for US $20 or a 3 day pass for US $40. You can also get a 7 day pass, but unless you’re a die hard temple fan it’s probably not necessary. The good thing about the 3 day pass is that you don’t need to use it on consecutive days (you have 1 week to use it). And I wouldn’t. We had a day off between temples and we only used 2 days of our 3 day pass. A day of temples can mean a lot of stairs, walking and long hours, so it would be pretty tiring to do consecutive days. I also think you appreciate them more if you break them up. So I would do the 3 day pass but use it for 2 or 3 days of temples depending how much you want to see. 1 day is possible, but would be rushed and a long day. But we’ll give you a break down of what we would see if we were to do one day only just in case :) If we would change anything, we might have done what we did in 2 days, over 3 days, so the days weren’t as big and tiring. 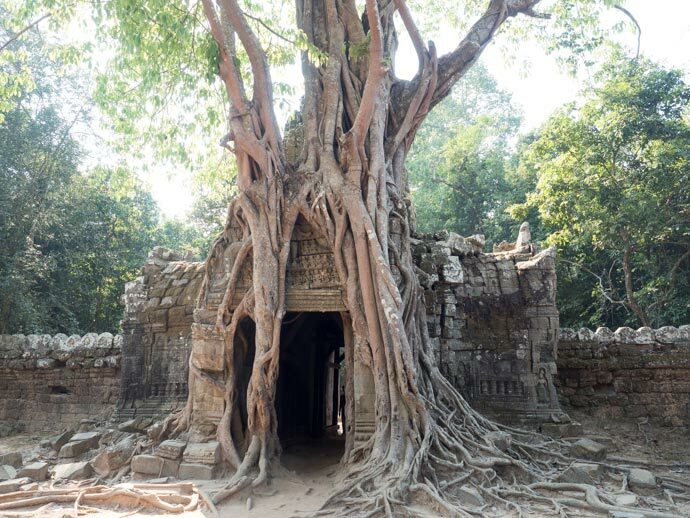 In the road leading away from Pre Rup temple, you can drive to Banteay Srei, Phnom Kulen & Kbai Spean. In the opposite direction, you can get to Prasat Beng Mealea but I believe that is a seperate entry of $5 and is one of the furthest away temples. 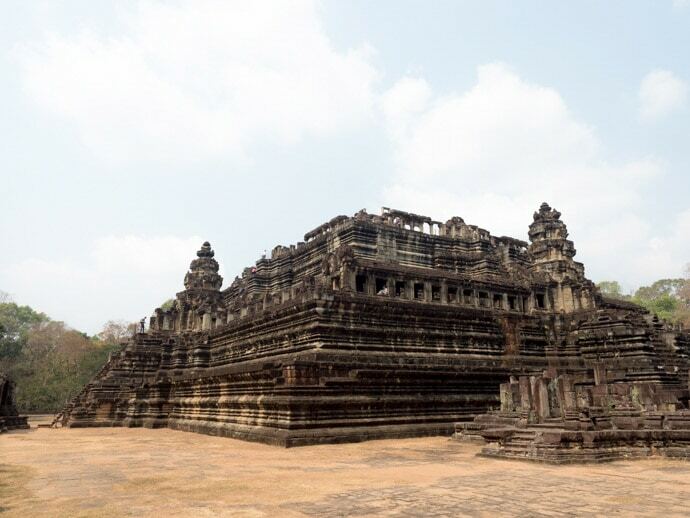 Then, you also have the Roluos Group of temples which are in another direction to Angkor Wat. 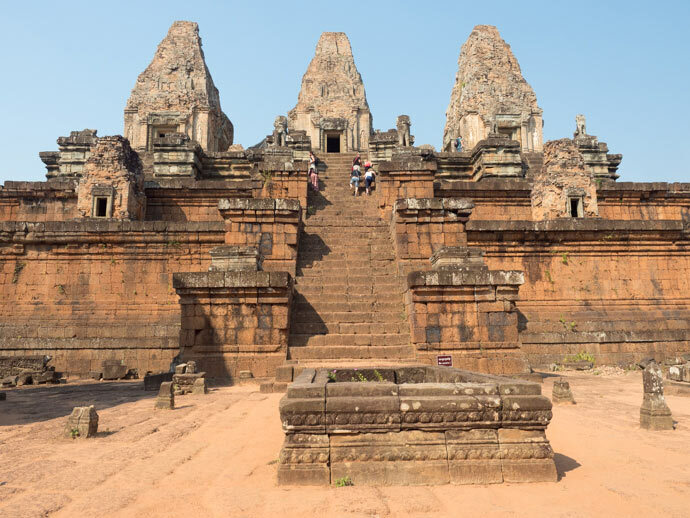 So as you can see, there are quite a few areas and temples to see, but unless you’re really interested in seeing them all, we have picked our favourites to make it easier for you. People will tell you to wait to see Angkor Wat Sunrise til the second or last day for the ‘build-up’, and I’d probably say they are right. So first day we headed further afield. On your way to Banteay Srei, stop off at Pre Rup. 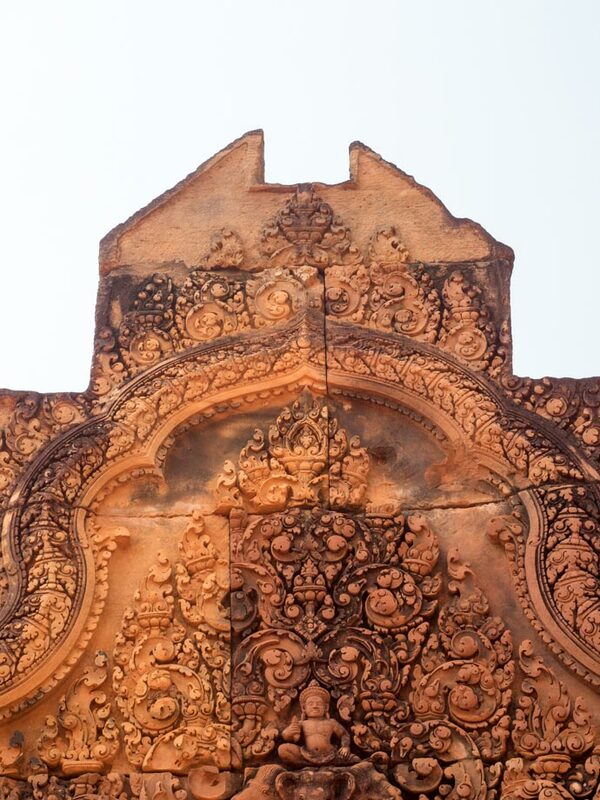 Then take your tuk tuk out to Banteay Srei and enjoy the ride. It takes about 45 minutes to get there, which I originally was trying to toss up if it was worth it, but the ride was actually my favourite part. This is some peoples favourite temple, although we loved it, we probably preferred other temples more. Having said that, it’s nice to mix it up and have a bit longer of a tuk tuk ride. After Banteay Srei, we stopped off at East Mebon pretty breifly as we knew we had so many temples to go and it seemed pretty similar to Pre Rup. It still looked pretty good though, and we probably should have explored a bit more. Next up was Ta Som, one of my favourites of the day. It wasn’t too big, was beautiful and you could walk through many parts. 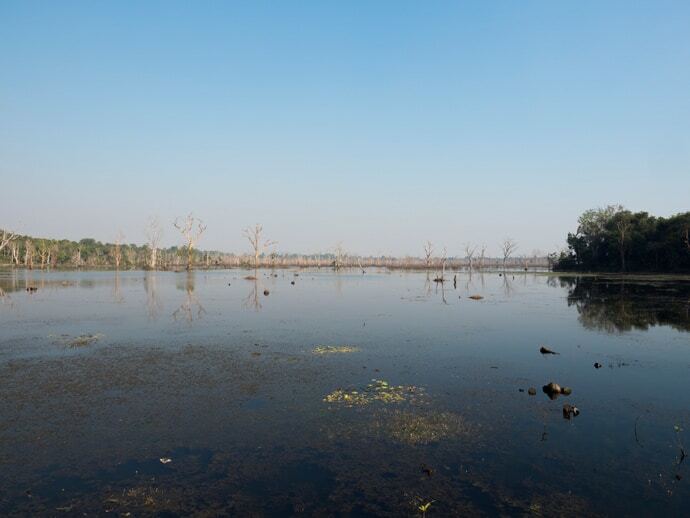 Next up was Neak Pean. The temple itself was ok, but I loved the mystical walk over the jetty to get there. We intended to go to Preah Khan, but were running out of time as we wanted to make it to Phnom Bakheng for sunset. And so that was day 1… very long, tiring but also beautiful. Day 2 was our sunrise at Angkor Wat morning. I was excited but also a little not excited as I had heard how busy and ruthless it gets with everyone trying to get a good photo. We arrived at about 5.20am and it was a good time to arrive, we got a good spot, with only one line of people in front of us. If you want to be front row, get there at 5am. The best spot for a photo is on the male lake (left side lake when looking at the temple), near the left corner. It was worth it, but be ready for lots of people and no such thing as personal space. I had people try and push in front, despite the fact we got up an hour earlier then them, I had people leaning over the top of me with cameras in front of my face, and peoples second cameras dangling off there arms and hitting me in the head. In the end, all you could do was laugh because it’s as if all social etiquette was left at the gates. Bayon was next, which is situated in Angkor Thom. Driving through Angkor Thom is pretty amazing. Bayon was definitely another favourite, with the stone faces and layout. After Bayon we followed the path through some of Angkor Thom, which took us through Baphuon, Terrace of the Elephants and Terrace of the Leper King. These were good, but honestly by this time we were tired and had already seen such stunning temples that I think it’s ok to skip. So we decided to skip day 3, as we had already seen so much. But you could use this day to explore more temples, or what I’d recommend would be to do Angkor Wat Sunrise on Day 3, so that Day 2 is more broken up. You could then add some of day 1 to day 2 as well, to make them more even. 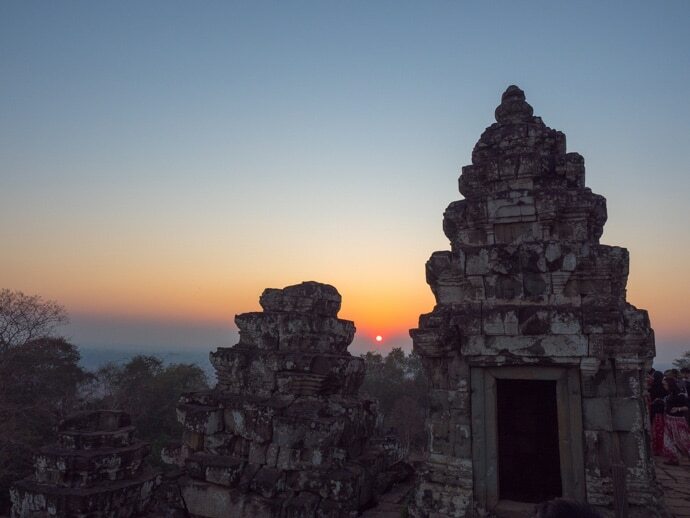 Starting with Angkor Wat sunrise is kind of a must, then I would do Bayon (you drive through Angkor Thom, so you still get to see some of this), Preah Khan (we didn’t do this one but from pictures it looks pretty nice), Neak Poan, Ta Som, either East Mebon or Pre Rup, Ta Prohm, then finish at Phnom Bakheng for Sunset (only if you are ok with lines). Now, this would be a jam packed day, so you would probably need to make cuts along the way. 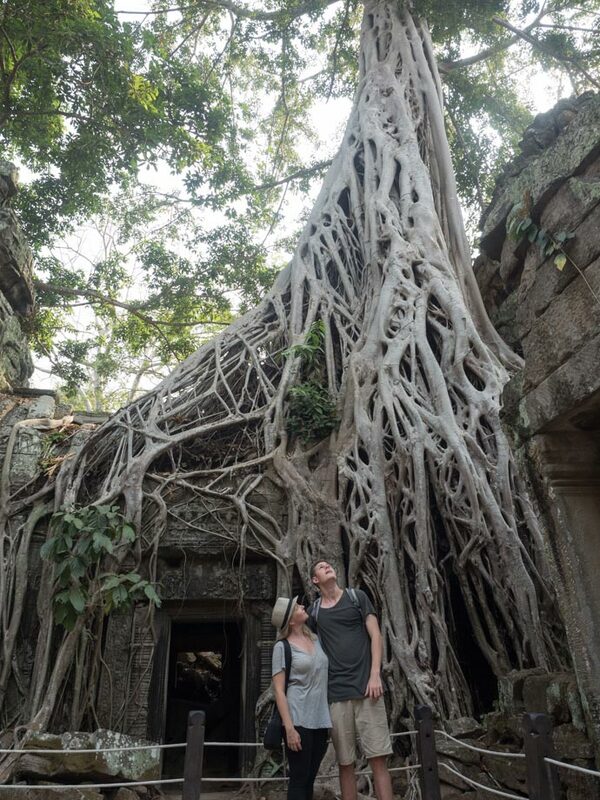 Our absolute favourites were Bayon, Ta Prohm, Ta Som and Angkor Wat if that helps, but the others offer more variety and are still amazing. 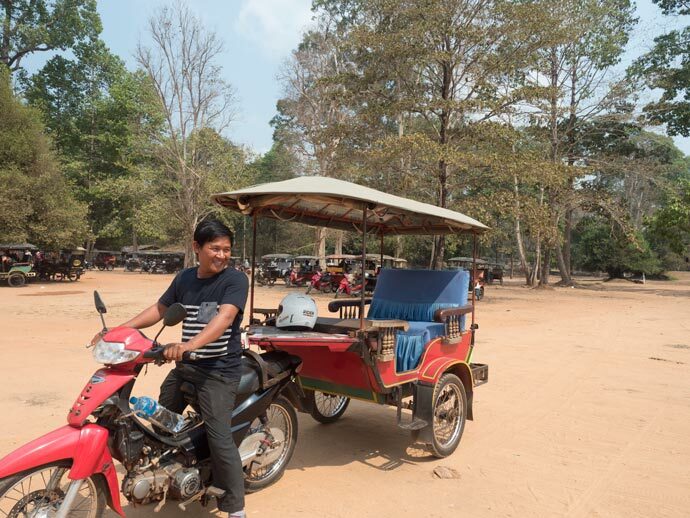 Go with a Tuk Tuk – you can bicycle but you will be exhausted, and going in a van would take away the fun and fresh air of being in a tuk tuk. Day 1 cost us $30 US for a Tuk Tuk driver and Day 2 cost us $18 US. Wear a t-shirt or top that covers your shoulders. Don’t count on your scarf! We saw many people being turned away at different temples by just using a scarf to cover the shoulders. Not really sure why, as this is usually my fail-safe temple item (luckily I wore a t-shirt this time). Also best to make sure your knees are covered (although we did see people with shorts and dresses just above the knee that seemed to be ok). You can buy your tickets at the entrance to Angkor Archaeological Park. Your tuk tuk driver will stop there for you. If you want to be front row at Angkor Wat sunrise, get there by 5am. Everyone’s different, so although this is what worked for us, you could love doing it another way. The good thing about it is you don’t need to stick to an area, you can really go between any temples. 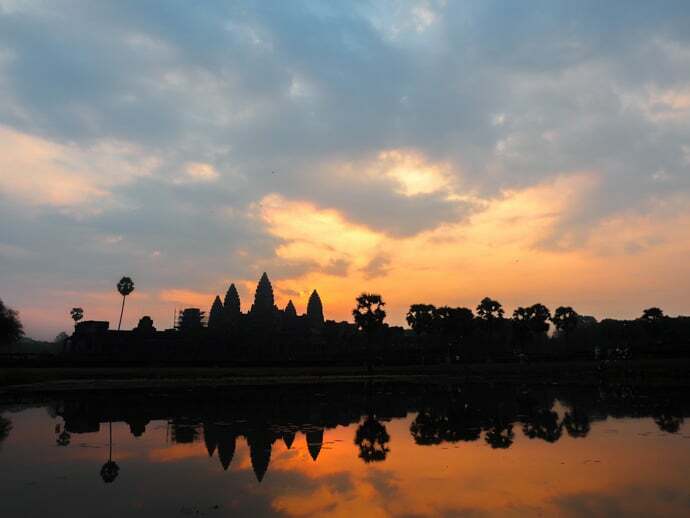 What’s your experience of Angkor Wat and Angkor Archaeological Park?